During and immediately following the 2011 Egyptian uprising, Coptic activism reached new heights. 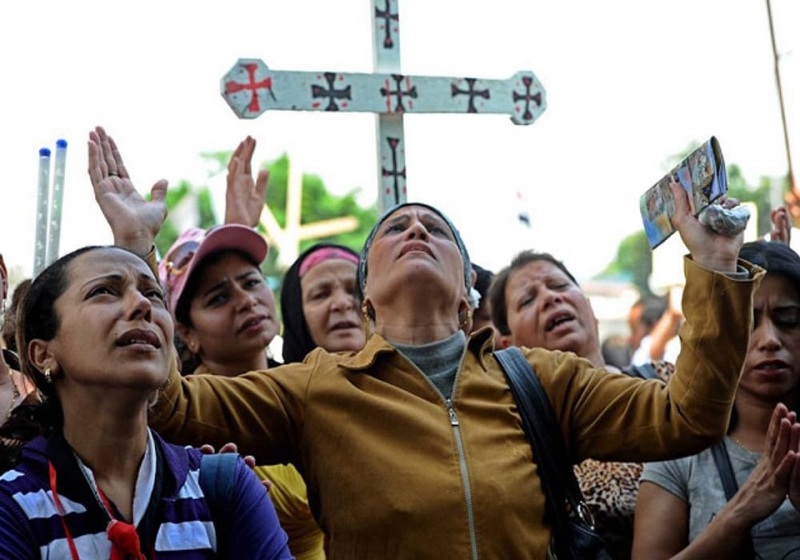 Copts organized and came together to call for protection for their communities and rights more generally. However, particularly since the fall of the Muslim Brotherhood and the election of President Abdul-Fattah el-Sisi, such activism has declined. Today, the number of active, effective Coptic movements can be counted on one hand. This leaves the church carrying the mantle of Coptic identity, allowing the pope to decide whether or not to engage in politics. Thus far, Pope Tawadros has opted to back the new government, and Coptic citizens are following his example. But in terms of traditional political activism, the landscape is quite barren. There are two primary movements that remain: the Coalition of Egypt’s Copts (CEC) and the Maspero Youth Union (MYU). Both are small, with 88 and 40 voting members, respectively. At the height of the Maspero protests before the massacre, the MYU laid claim to the support of over ten thousand, judged unofficially via Facebook conversations and attendance at demonstrations. Today it counts only a few hundred active members. The article describes the former as aligned with the state, the latter as supportive but wary while clinging to revolutionary ideals. But if the MYU leads, will anyone follow? Copts other than MYU members and supporters view Coptic activism to be negligible in influence and advocate for transcending Coptic concerns. Youssef Sidhom, editor of the Coptic newspaper Watani, speaks for many when he says that the Coptic community must move on from sectarian labels and evolve in two directions. At the grassroots level, he says, activists must transform into community leaders and aid their neighborhood constituencies. And at the national level, they must emerge as politicians and address issues beyond the Coptic cause. While Coptic activists had their moment during the uprisings, Sidhom points to parliament as the coming and enduring challenge in which Copts must legislate rights to support full citizenship and demonstrate leadership on the national stage. But almost by definition, activists operate outside the sphere of formal power and put pressure on it. Few activists have space to operate these days, as the state has greatly limited the scope of civil society. Time will tell if the CEC or the MYU can muster the influence to capture the favor of the Coptic community—and more importantly, of Egypt as a whole. Please click here to read the full article at the Middle East Institute.